BlackwaterBLUE from monkster.com: Harry Redknapp to be named Chelsea manager? Harry Redknapp to be named Chelsea manager? Harry Redknapp is odds-on in places to become the next Chelsea manager following sustained support for him on Thursday to replace Carlo Ancelotti in the Stamford Bridge hotseat. The Tottenham boss is as short as 4-7 with Coral and also odds-on with Paddy Power, while Hills and Ladbrokes are going evens for a sensational move across London. Guus Hiddink is out to 4-1 with Marco van Basten now 7-1 with Coral and Andre Villas-Boas (8-1) is the only other manager available at single-figure odds. 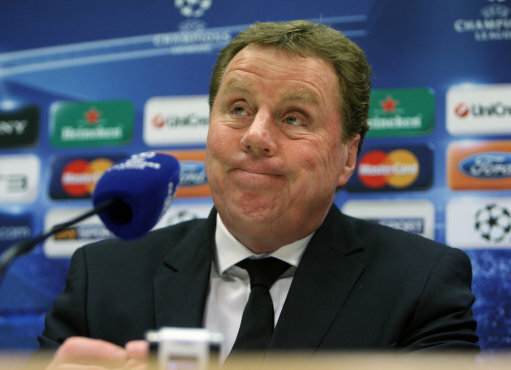 This would be the mother of all surprises and despite the fact that some bookmakers have stopped taking bets on Harry Redknapp moving from North to West London, I just find it impossible to believe that such a move would happen. Tottenham would surely not allow their boss to make the short move to Stamford Bridge for any price. The former Bournemouth, West Ham, Portsmouth and Southampton manager has done a great job at White Hart Lane over the past couple of seasons, taking them from rock bottom of the Premier League table when he arrived in 2008 to the Champions League Quarter Finals a few short years later.